This ultra rustic chic wedding guest book sign is made to order from hand cut, sanded, and stained wood. 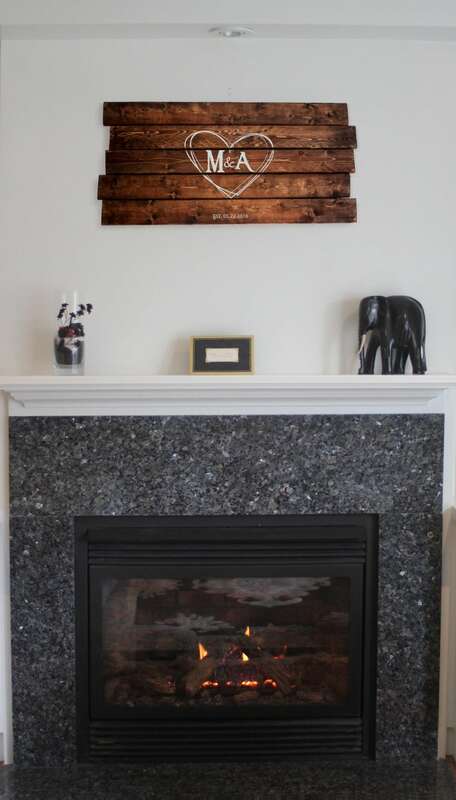 The wood is sanded and stain is layered onto each piece of wood to give it a unique dark rustic wood look. The sign is then laser engraved with a momogram and the engraving is painted-in by hand. If you would prefer a different colour scheme for your monogram wedding sign, just let me know, I have many more stain and paint colours to choose from. Your initials, wedding date, and/or a personalized message can be laser engraved into the sign. With a custom order, this sign can be made to custom dimensions to fit your space perfectly and the design can be tweaked to suit you. Each sign comes ready to hang. Use a metallic Sharpie for signing to get brighter signatures, or use black for a more subtle look. Send me a message and let me know what you would like engraved into your sign when your in the checkout. I will send you a few layouts and confirm the design with you before I begin. 12" X 25" - (pictured above) ideal for small groups under 25. 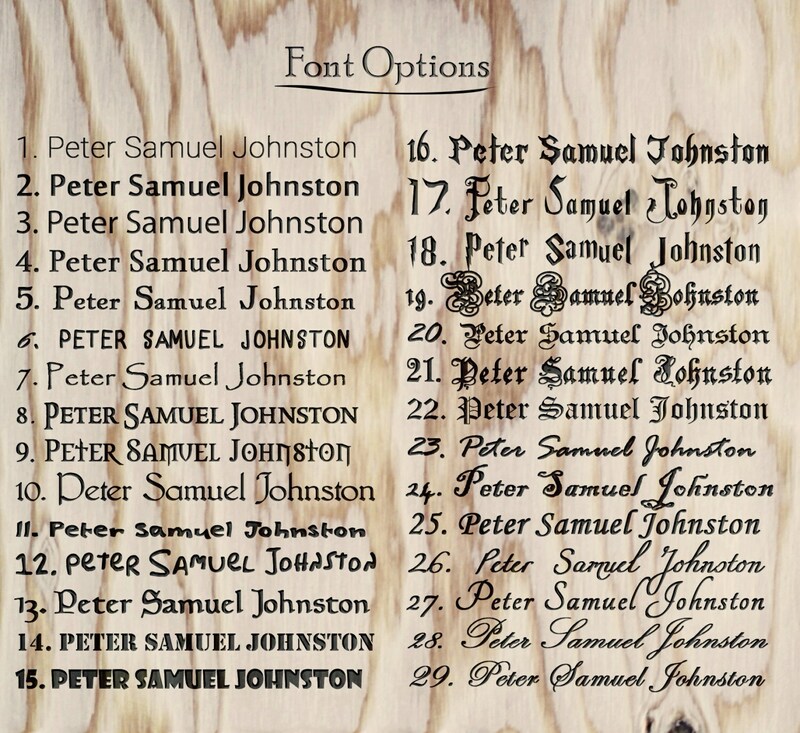 This is a good idea for a rustic wedding party plaque. The above suggestions are based on roughly 4 -7 square inches of area for each guest to write in. The size you need will depend on the chunkiness of the pens you have people sign with, the size of your engraving, the number of guests who will sign, the amount of space you want them to be able to write in, and how squished-in you would prefer the signatures and comments to be. To get a better sense of what size you will need, try filling an 8.5 X 11 sheet of paper with random signatures and comments with a pen / writing size and layout you like. Then divide 93.5 by the number of comments on your page. This number is the number of square inches you want to give each person (or couple) to write in. If you send me the number of comments / signatures you managed to fit on your test page, along with the your total number of guests/couples, I can help you determine the ideal size for your sign. The word 'wisdom' appears on the back of the sign. Wisdom is my last name and my way of signing (or branding) my work. I wont include this if you don't want me to. Just send me a message asking me to exclude it. 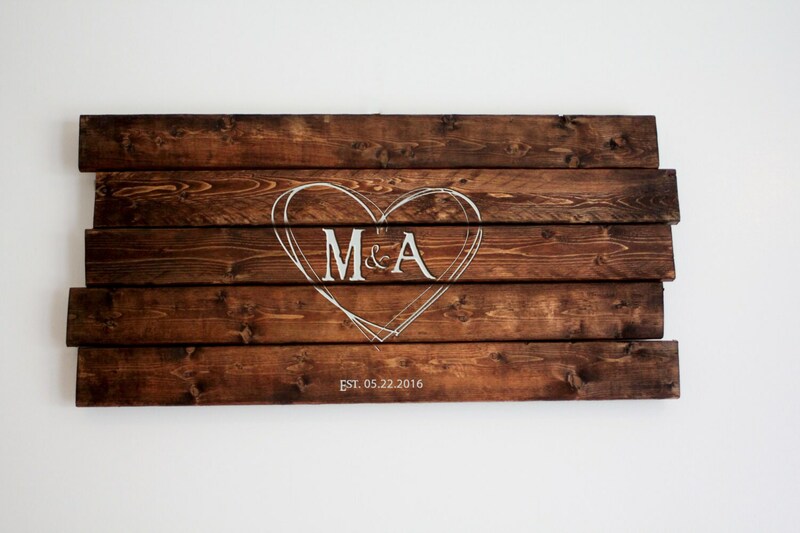 I ordered a wooden sign as our guestbook for our wedding. Tylir was so amazing to deal with. She answered my emails quickly, answered any questions I had, and sent me 8 different options to choose from. The sign is beautiful and rustic, just the way we wanted it. She was able to take the information I gave her about us and fit it into a sign that suited us perfectly. The sign took only a couple weeks to make and was delivered within one week (we're several provinces apart). Highly recommended!